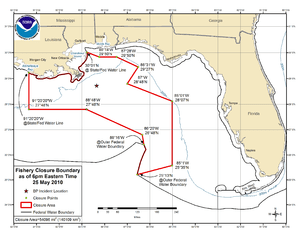 With Gulf well almost dead, what lies ahead? Cnn, Sept. 19. The imminent death of BP’s Macondo well in the Gulf of Mexico is a milestone that likely will draw only momentary celebration. As scientists debate how much oil remains below the surface, years of economic and environmental recovery in the region lie ahead. The federal government will press for answers on what went wrong April 20 and lawsuits — including those brought by the families of the 11 workers who died in the Deepwater Horizon rig explosion — will eventually make their way through the courts. Some additional information from the Huffington Post.The well is dead, but Gulf challenges live on. And one more take on the demise of the “rogue well” and the ramifications comes from the Wall St. Journal. This entry was posted in Deepwater Horizon Oil Spill, Environmental Impact, Government Reports and tagged BP, Deepwater Horizon, Gulf of Mexico, Macondo Prospect by recoverydiva. Bookmark the permalink.